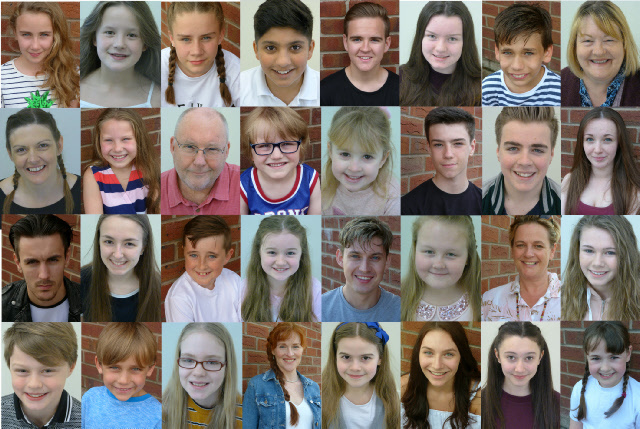 VICTORIA LEWIS, BERNIE RADFORD, MOLI WILLIAMS AND LAUREN ARNISON join the cast as The Cloudworld Kids. GEORGE NELSON AND LUKE MEYERS join the cast as Kingsmen. FINDING NEVERLAND at Leicester Curve. THE STIWT for LHK PRODUCTIONS. LITTLE JAKE in ANNIE GET YOUR GUN UK TOUR! 4 clients cast in GYPSY at ALTRINCHAM GARRICK directed by Paul Kerryson. SAM JONES (Tulsa) and JACK HALES. GEORGE PARRY and HARRIET BEARDMORE to feature in the newly released music video MOONLIT STRANGERS by Arthur Rigby & the Baskervylles. Bitesize Casting Agency represents clients in musical theatre, theatre, television and film, particularly those under 21. With REPRESENTATION in the subject line. We are unable to respond to every applicant but we guarantee to consider all carefully.